Andrea Escobar (center) of Six to Six Magnet School in Bridgeport is the 2019 Paraeducator of the Year for Trumbull-based Cooperative Educational Services. At left is C.E.S. Executive Director Dr. Charles Dumais and at left is Six to Six Principal Anna Nelmes-Stoughton. TRUMBULL, Conn.– Andrea Escobar of Six to Six Magnet School in Bridgeport has been named the 2019 Paraeducator of the Year for Cooperative Educational Services. Escobar is an Instructional Aide who started her career at C.E.S. in 2015. She was nominated for the award by Six to Six teachers Patricia Barbano-Parczany, Dionne Couture and Sabine Januski. She is the seventh Paraeducator of the Year for C.E.S. and the first from Six to Six, which is one of four school programs operated by C.E.S. Januski, a seventh-grader teacher, praised Escobar for her commitment to students and support for staff. “She treats the students with respect and kindness while also holding them accountable,” Januski said. “Andrea is conscientious and does everything to the best of her ability. She is not afraid of doing more than she is required to,” said Couture, who teaches science to seventh- and eighth-graders. This honor makes Escobar eligible for the state Department of Education’s Anne Marie Murphy Paraeducator of the Year award, which was created to recognize the important role of the paraeducator in supporting student achievement. The award was renamed in 2013 to honor the memory of Murphy, a special education paraeducator who was killed in the 2012 Sandy Hook shooting. 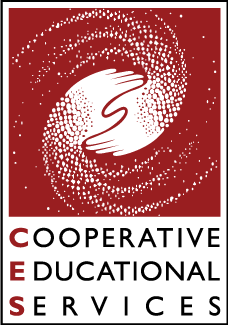 Criteria for the award are outlined by six standards identified from the National Resource Center for Paraprofessionals Model and include assisting teachers with: building and maintaining effective instructional teams, maintaining learner-centered supportive environments, planning and organizing learning experiences, engaging students in learning, instruction, assessing learner needs, progress, and achievement, as well as meeting standards of professional and ethical conduct. The winner of the state award will be announced in September. Click here to see all C.E.S. Paraeducators of the Year.